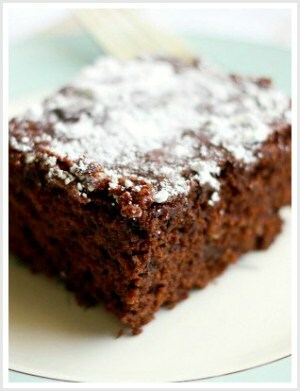 Home » Dairy Free » 20 Easy Gluten Free Dairy Free Recipes Your Family Will Love. 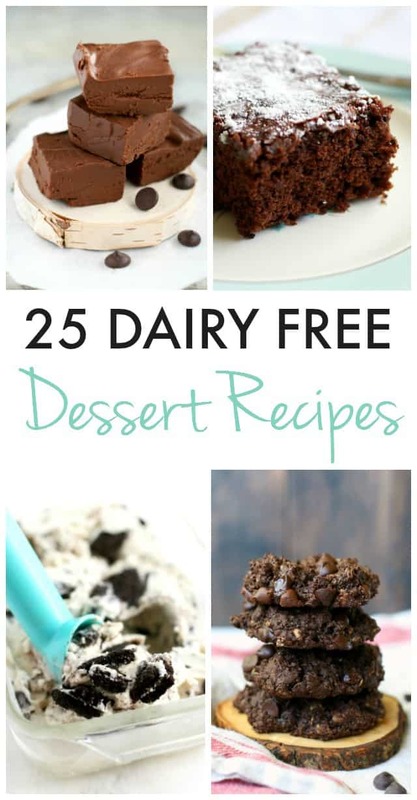 20 easy gluten free dairy free recipes for you…delicious, family friendly recipes that you’ll love making! Cheesy casseroles, flavorful noodle dishes, cream sauces…these are all things that you can still enjoy even if you are on a gluten free and dairy free diet. 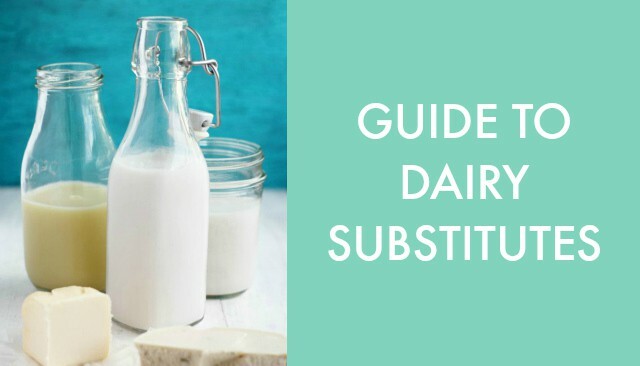 Learn all about what ingredients to use for different recipes in my guide to dairy substitutes. 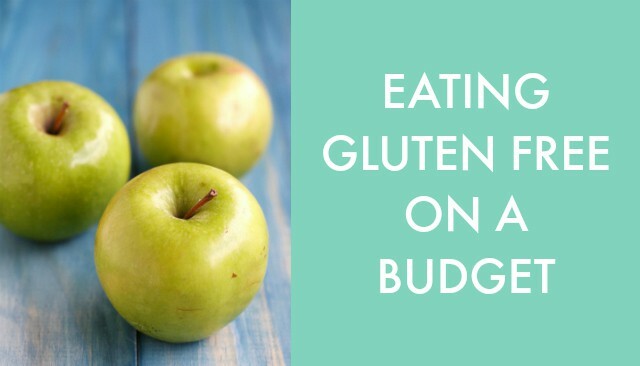 Find out where and how to save money on gluten free ingredients in my post about eating gluten free on a budget. 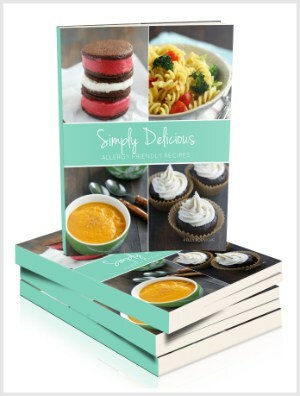 Once you’ve found your ingredients, you’re probably wondering what gluten free dairy free recipes to prepare? How can you be sure your new recipes will work out? I’ve spent lots of time trying and testing recipes that are free of dairy and gluten ingredients, and I’m excited to share these recipes with you. They are family friendly and so delicious. 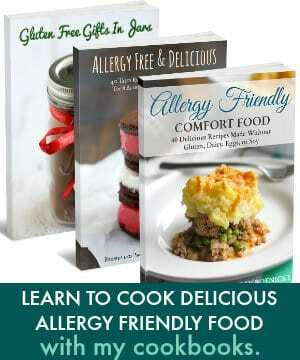 These are all gluten free dairy free recipes, but if you do eat dairy, feel free to swap in regular butter or cheese if you wish. 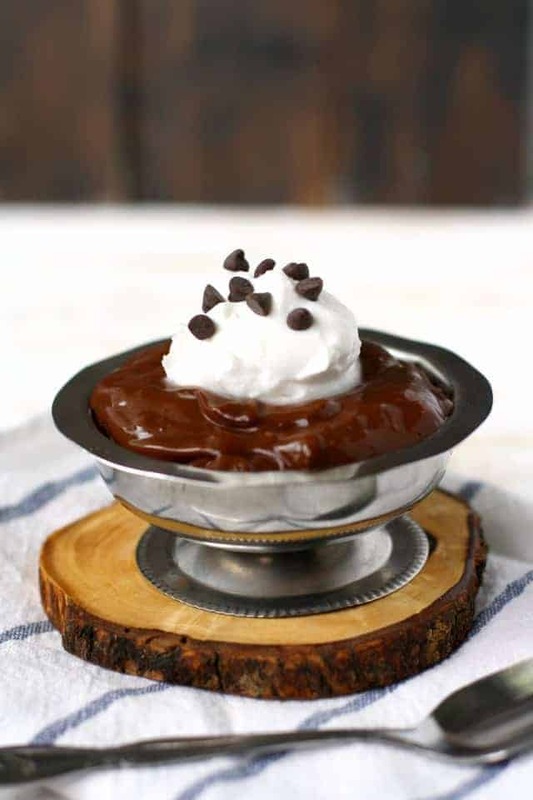 These recipes are easy to make and don’t take a ton of time – they either use the crock pot, or they are fairly quick to prepare on the stove top. I love to keep things as simple as possible around here. 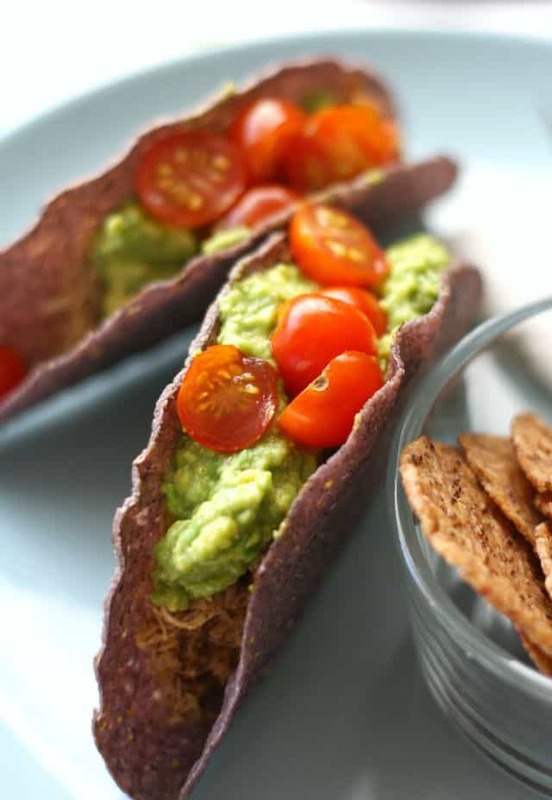 These meals are all quick, simple, tasty, and gluten free and dairy free. 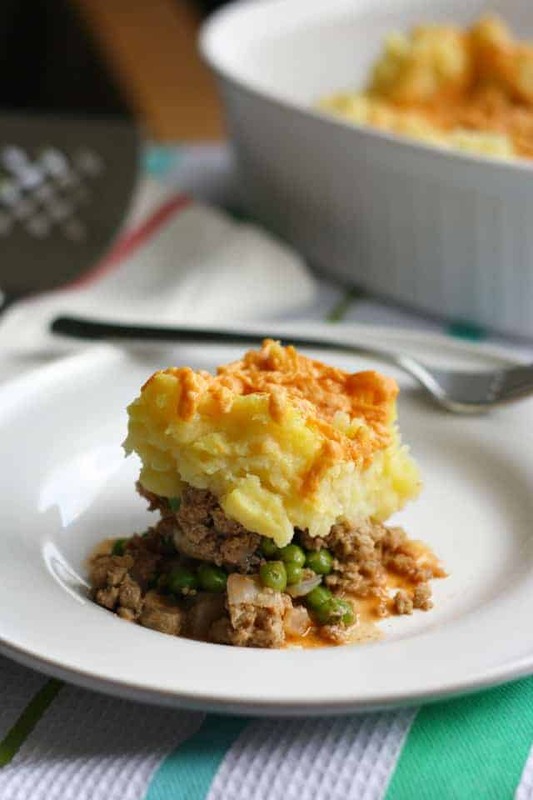 Turkey Shepherd’s Pie – This is one of my fool-proof recipes. Simply brown the ground turkey and onions, make a simple sauce, then top with mashed potatoes and shredded dairy free cheese. After a few minutes in the oven it’s ready to go! Easy and delicious comfort food. 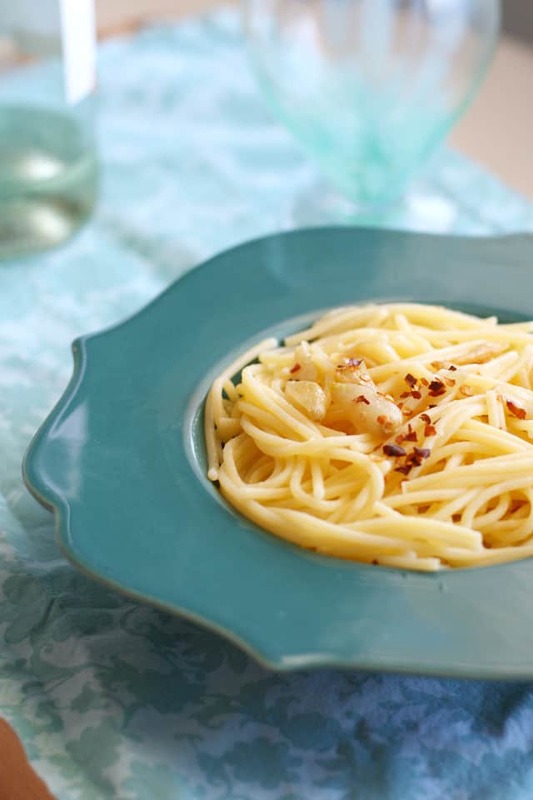 Garlic Spaghetti – We looooooooooooove garlic over here, so this is always a favorite. Garlic spaghetti is a great meal to make when you don’t have much else in the pantry! It just requires garlic, olive oil, and gluten free pasta. Chicken Tacos – Tacos of any kind are always a hit at our house. I like to make my own seasoning as well – that way I can adjust the spice level as needed for little ones. 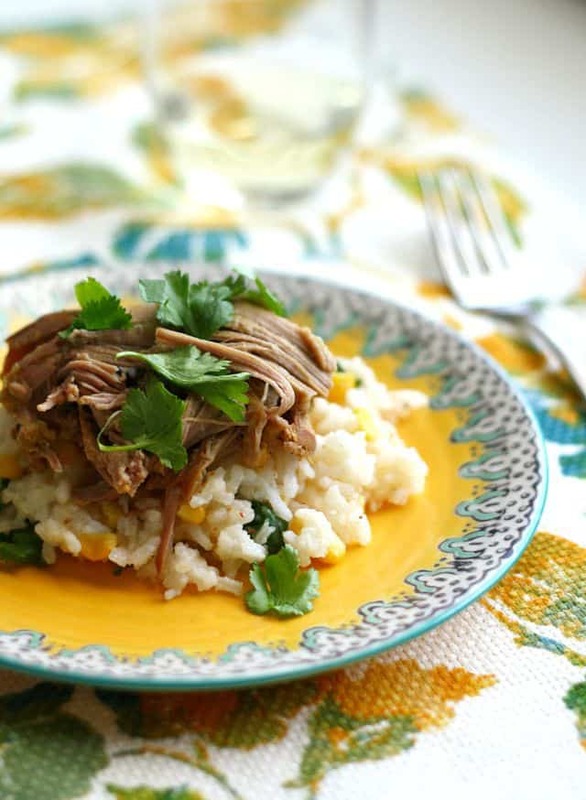 Slow Cooker Salsa Verde Pork with Cilantro Rice – This dish is made in the slow cooker which results in very tender and flavorful meat. It reminds me of the pork from Qdoba. We love it with cilantro rice, but it would also be great in tacos or burritos. This slow cooker pork would also be delicious served with mashed potatoes and gluten free gravy. Creamy Spinach Walnut Pesto – This bright green creamy pesto sauce is very easy to whip up in the blender or food processor. Simply blend the ingredients for the pesto while you boil some gluten free noodles, and dinner is served in just a few minutes! 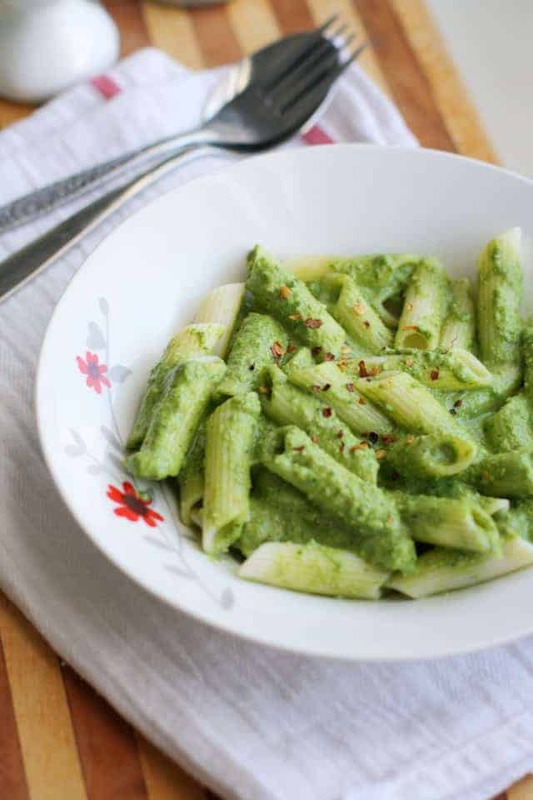 If you can’t do nuts, I would recommend substituting pumpkin seeds in this pesto. 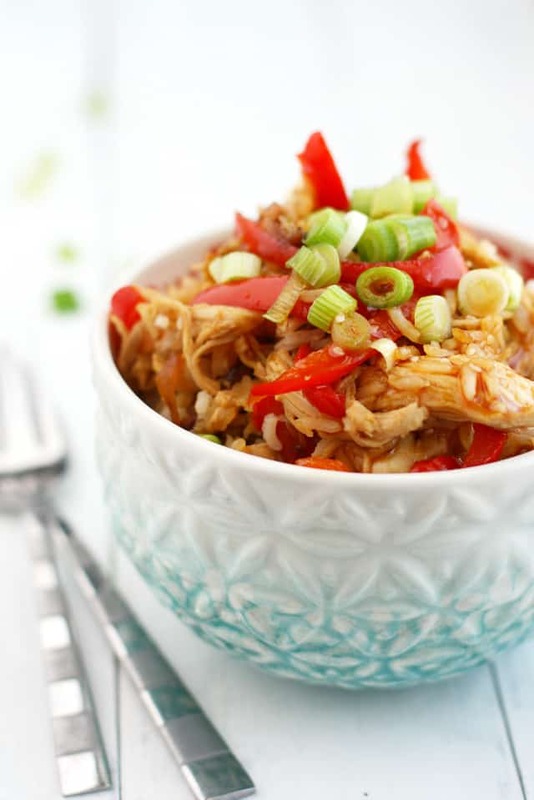 Slow Cooker Cheesy Broccoli Chicken Rice – This is actually my most pinned recipe. When I made this dish for the first time, I was just thinking about making a really easy, comforting meal, and that’s what it is. 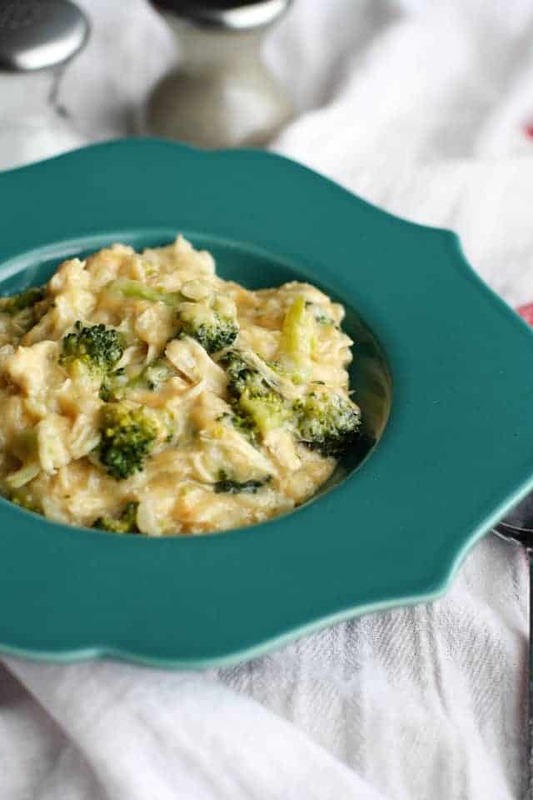 Simple, homey, tasty, creamy chicken and rice with broccoli throughout – perfect for chilly days. 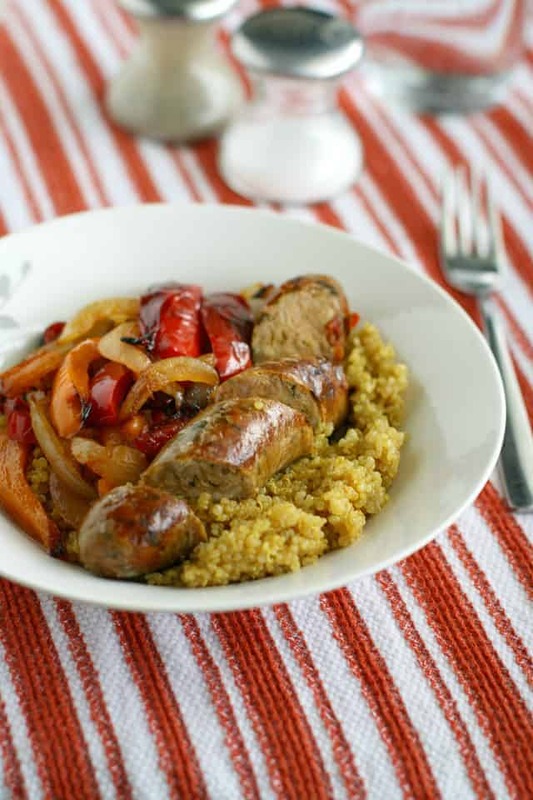 Sausages with Peppers and Onions Over Curry Spiced Quinoa – Simple quinoa gets a little bit fancier with some curry powder and is perfect when topped with sausages, onions, and peppers. This is a great option for really busy nights since you can get it on the table in about 20 minutes. 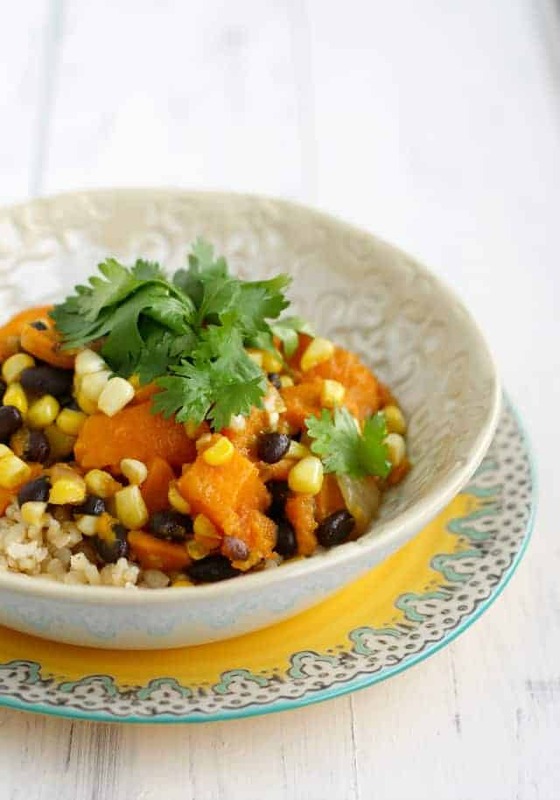 Southwestern Corn and Sweet Potato Bowls – These bowls are such a healthy and tasty vegan/vegetarian meal. The beans provide protein and the sweet potatoes add tons of fiber and Vitamin A. This is a meal that we make pretty regularly around here as I just never seem to tire of sweet potatoes! 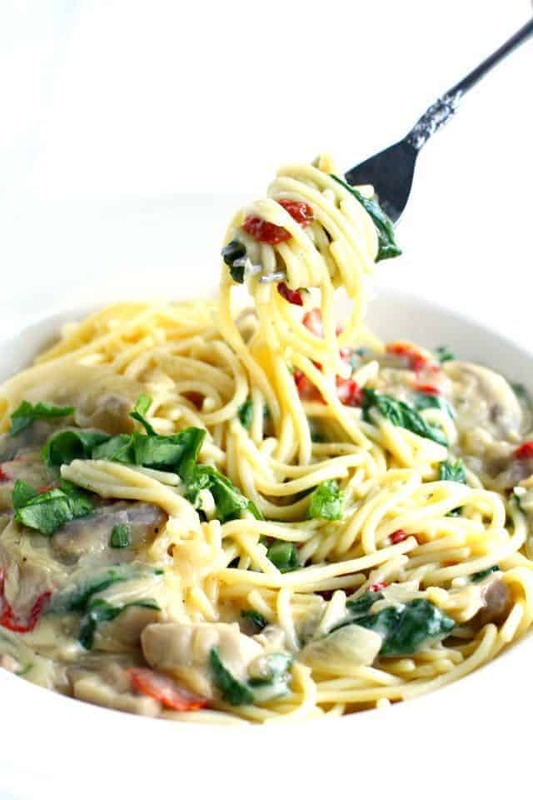 Pasta with Creamy Sun Dried Tomato and Mushroom Sauce – This pasta sauce is so creamy and delicious – the sun dried tomatoes, spinach, and mushrooms make this dish shine! I used oven-dried tomatoes from my garden, but you can easily use store bought sun dried tomatoes. They’re the star ingredient in this vegan meal. 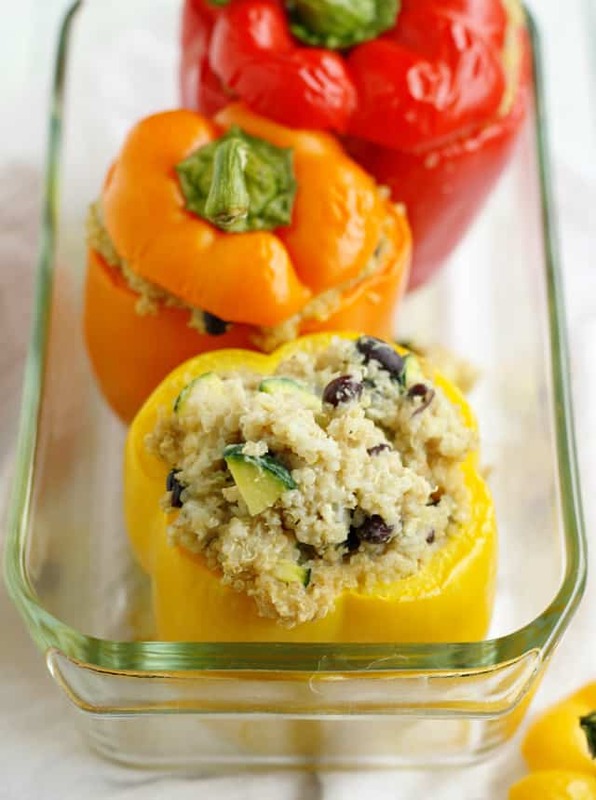 Cheesy Quinoa Stuffed Rainbow Peppers – Stuffed peppers are such a fun meal – they look so pretty all colorful and stuffed with goodness, don’t they? The cheesy filling is also delicious on its own if for some reason you don’t want to do the peppers! 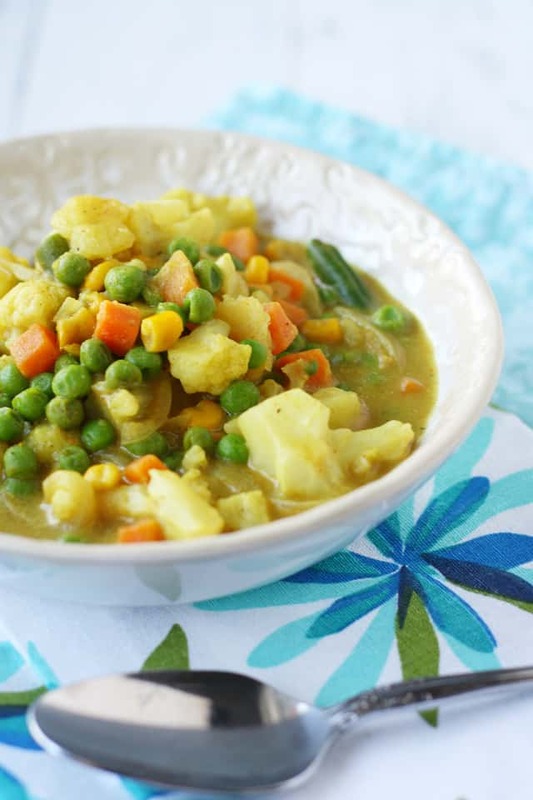 Potato and Vegetable Coconut Curry – You know I’m all about curry recipes! This version is loaded with vegetables and potatoes and covered in a rich coconut cream sauce. I love how quickly this meal comes together, but still tastes like it’s been simmering all day long. 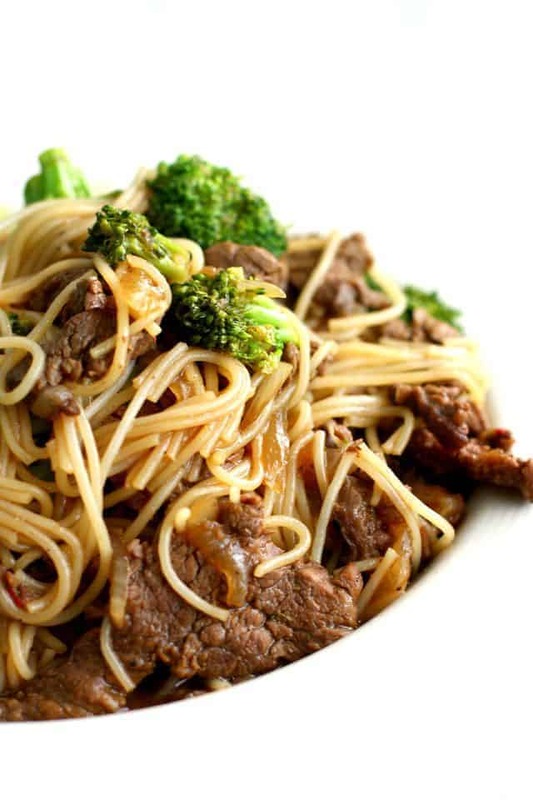 Beef and Broccoli Teriyaki Noodle Bowls – Teriyaki sauce, beef, rice noodles, and broccoli…do I need to go on? 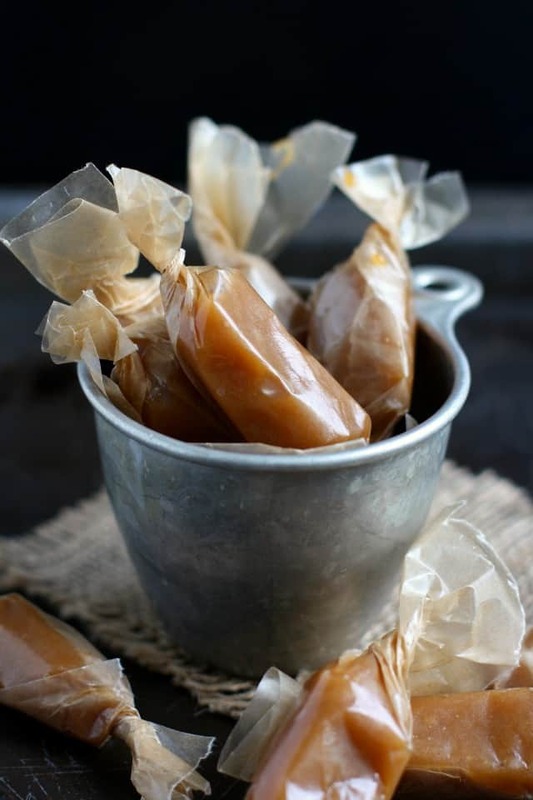 This one is super yummy…go make it! And if you’re wondering about soy sauce, yes there are several brands of gluten free soy sauce! 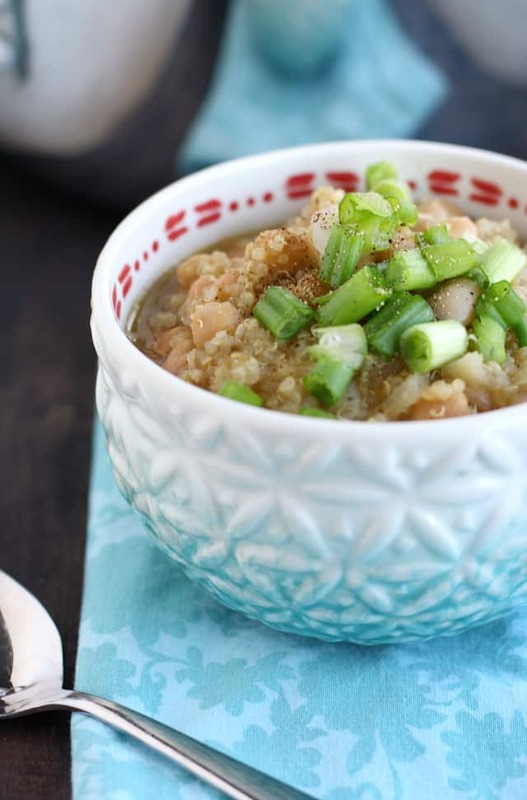 White Bean and Quinoa Chili – This vegan chili is an extra quick meal that is protein-packed due to the beans and quinoa. 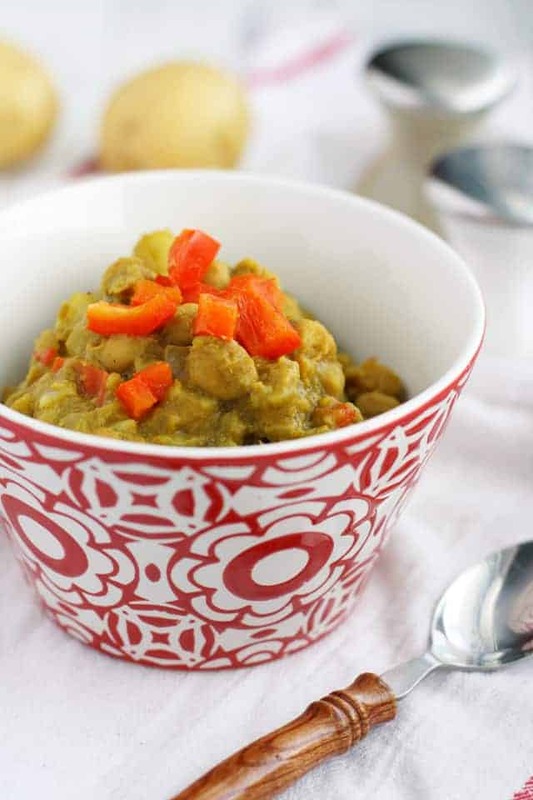 It’s a very filling and warming meal that’s great for a busy night. Serve it with cornbread or chips and salsa for an easy dinner. 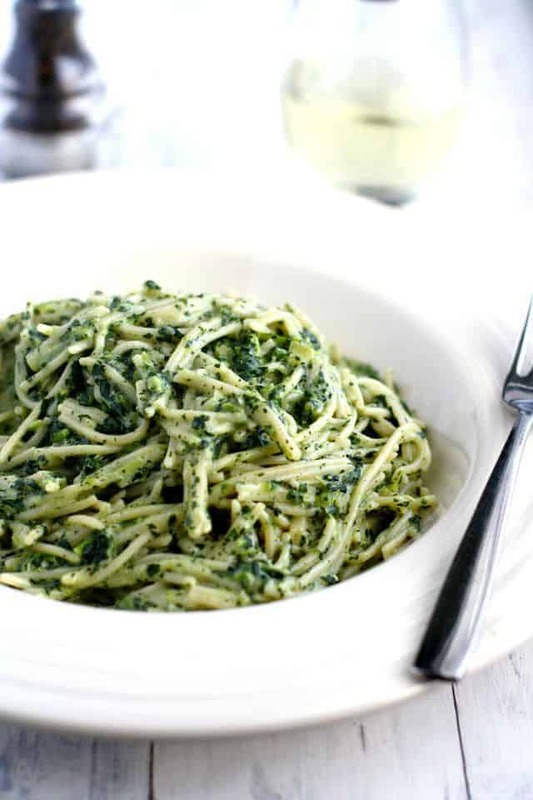 Pasta with Creamy Kale Sauce – This is the kale recipe for non-kale lovers! I know that some people just aren’t crazy for kale, but when it’s blended into a creamy sauce and served over pasta it’s very hard to complain! 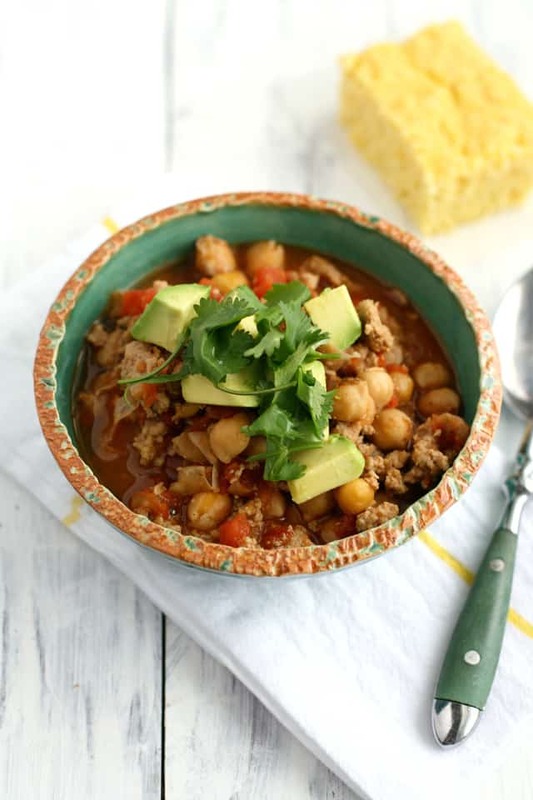 5 Ingredient Turkey Chili – Turkey chili is a recipe that is on frequent rotation at our home. It’s so easy to make and the simple ingredients are healthy and filling. This is a perfect week night recipe – it’s hearty and comforting and doesn’t take much time in the kitchen. 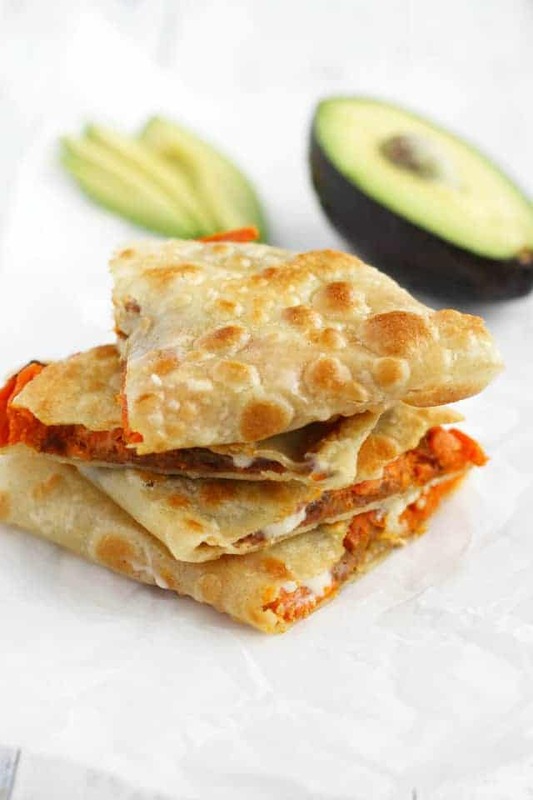 Roasted Sweet Potato and Bean Quesadillas – These vegan quesadillas are gooey, cheesy, spicy, and crave worthy! The spicy cheese goes so well with the sweet potatoes and beans. Again, this is a meal that is on repeat at our house. Sticky Chicken Teriyaki Rice – This is one of Darryl’s very FAVORITE meals that I make. He loves the sweet and flavorful sauce that goes over the chicken, veggies, and rice in this dish. 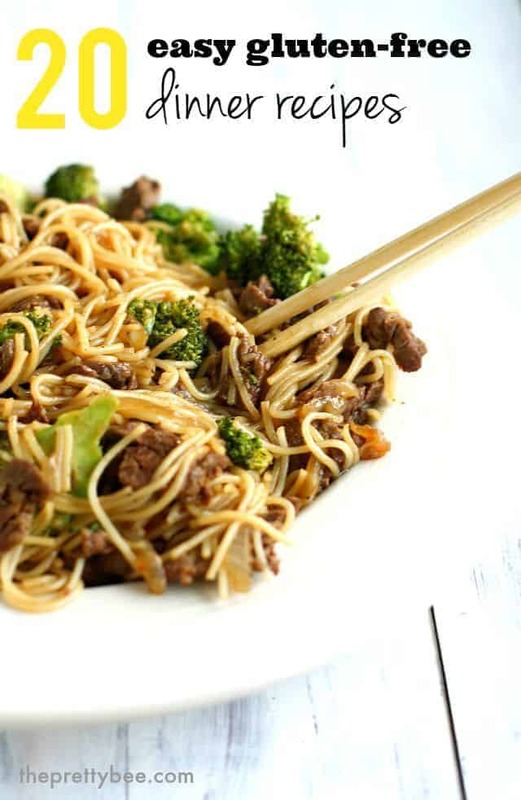 He says this is even better than takeout – it certainly does get eaten up very quickly when I make it! 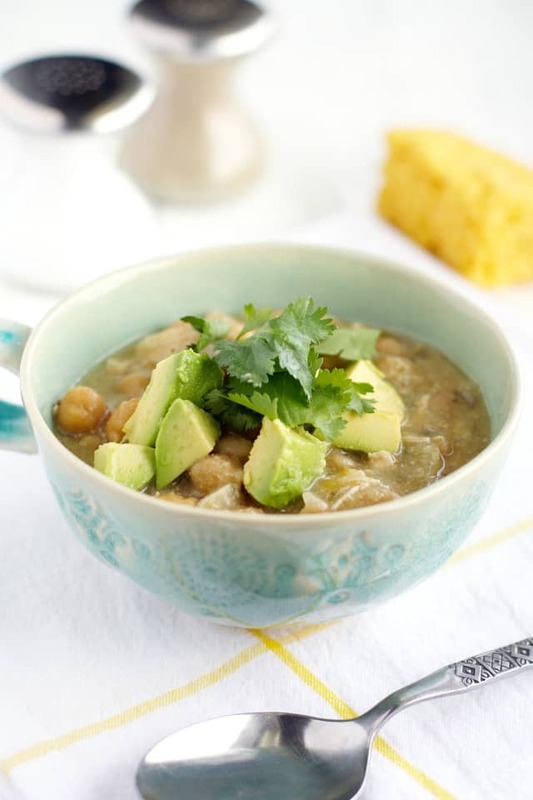 Crockpot White Bean and Chicken Chili – We love a good, hearty chili recipe at our house, and this white bean chicken version is full of flavor and is healthy, too! The fact that you just throw everything in the crock pot makes it even better. Let dinner cook all day and be ready for you at night! 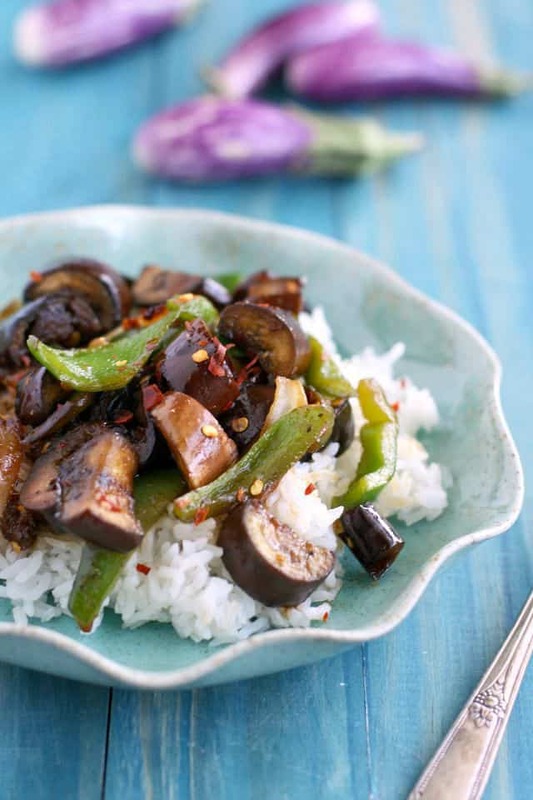 Spicy Stir Fried Eggplant – This is a really delicious way to make eggplant – this dish is spicy, flavorful, and comes together very quickly. Be sure to use tamari sauce (not soy sauce) to keep this gluten free. Not sure that you’ll love avocado frosting? 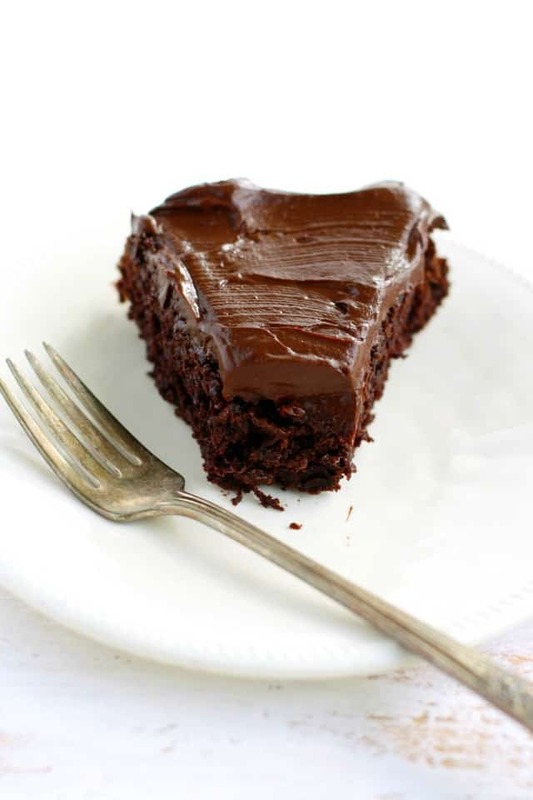 You could make this cake with dairy free buttercream frosting for a more traditional dessert. 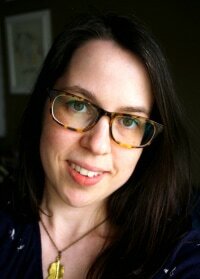 I hope these recipes make their way into your rotation! Do you have a favorite gluten free dinner recipe? Please share in the comments! 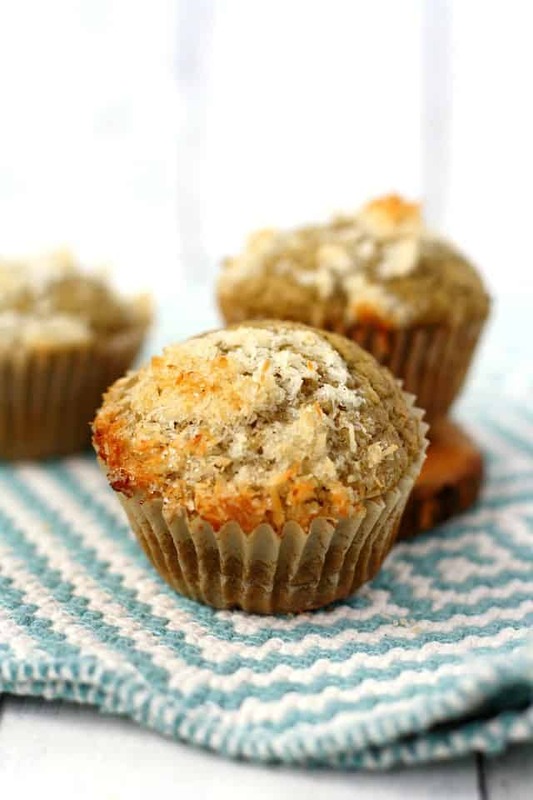 « Roasted Peaches with Toasted Coconut. Wow! This is great! Just right for my diet! Thanks so much, Kelly! All these recipes look amazing! Can’t wait to try!! Wow do these meals look good, Kelly! I’m drooling over every single one! I can’t believe the summer is flying by so quickly, either…I blinked and it was August already. All of these gf meals look sooooo good! That chili and those quesadillas? I must make all these things ASAP!